KARACHI, DEC 03 (DNA) – Ambassador of Nepal Ms. Sewa Lamsal Adhikari, while terming the ties between Pakistan and Nepal as “excellent”, stressed the need to initiate direct flights between the two countries which would surely bring the people and business communities closer to each other and also help in promoting plenty of trade and tourism opportunities available in both countries. “Nepal has been producing good quality big cardamoms which are being exported to numerous countries. 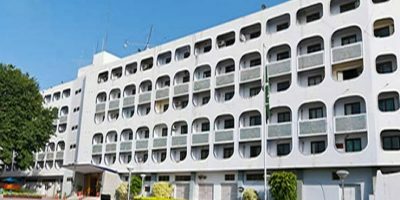 Pakistan has also been importing cardamoms from other countries to overcome local demand therefore, I suggest that Pakistani traders should look in the possibilities of importing cardamoms from Nepal”, she added. 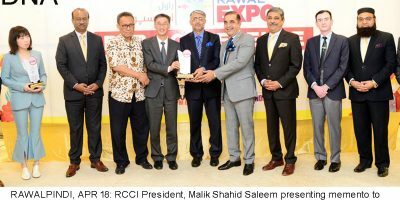 President KCCI Junaid Esmail Makda, in his remarks, stated that enhanced trade between Pakistan and Nepal can prove to be extremely advantageous considering the low transport costs. Nepalese businessmen are comfortable in doing business with their Pakistani counterparts whereas Pakistan and Nepal have common national and international perspectives with wide scope and potential for boosting trade and commerce. Identifying some of the potential sectors, he mentioned that tea consumption was one of the highest in Pakistan whereas Nepal was the finest tea producers that can create trade opportunity between the two countries. “Similarly, Nepal is also one of the best quality producer of coffee. Hence, the Pakistani coffee entrepreneurs must avail advantage of geographic proximity in having these products at competitive price”, he added. He said that Pakistan and Nepal hold strong potential to enter into joint ventures particularly in the fields of textile, pharmaceutical, health and human development.